Your time is valuable and shouldn't be spent worrying if your event will come off on time. We GUARANTEE delivery within 10 minutes of your quoted time or your delivery fee is on us! With over 150 restaurants to choose from, you'll always find the right food to meet your hungry team's appetite, delivered in custom designed equipment to ensure temperature. Need beverages or extras? No problem, we are your one-stop-shopping solution! What could be more important? You can place your order online or through our friendly, professional and knowledgeable call center. Your buffet order will be set up by your delivery professional. Or have your group order for themselves using out state of the art group ordering feature. Our job is to make your job simple, reliable and delicious! 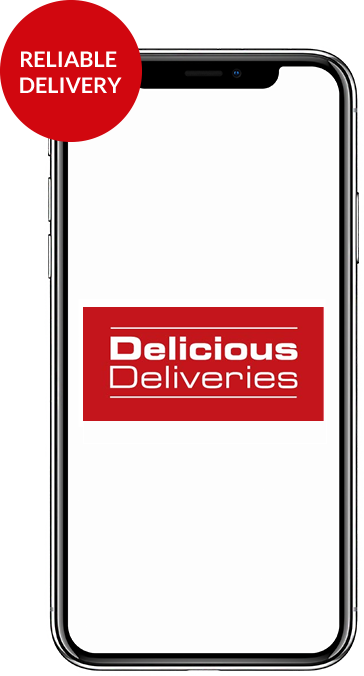 © 2018 Delivery Wow, Inc. dba Delicious Deliveries. Portions © 2018 RDS Control Systems, Inc. Already a customer? Please Login! Staying at a Hotel? Click Here! Oops! Google couldn't match exactly what you entered! Please select the one that most closely matches your address.